Everything you need for vestibular input all year round. 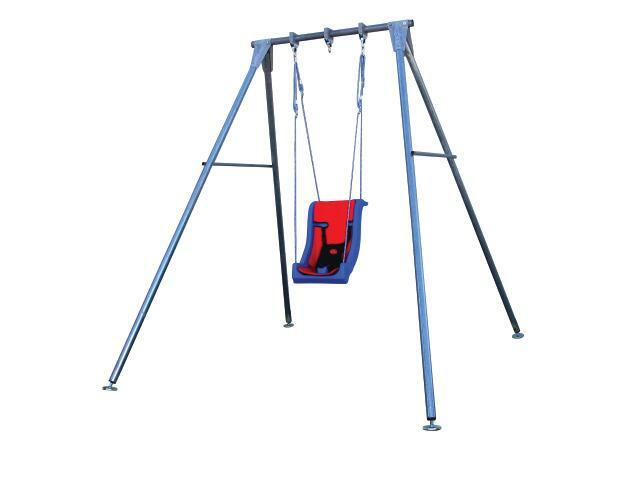 Be sure that you have at least a 9' ceiling height in your room to accommodate this swing frame. Teen package also available. This package includes: Single Swing Frame Child Full Support Swing Seat with Pommel Super Glide For One Point Swinging Swivel, Indoor Swing Frame Feet Child Seat Liner Deluxe Harness. Weight Limit: 140 lb. per suspension point. Truck Shipment. Dimensions: H: 94" x W: 85" x D: 97"